Our new, purpose-built, headquarters operating site is conveniently and strategically located – alongside the A134 at Cockfield, between Bury St Edmunds and Sudbury – and close to the main A14 Bury St Edmunds East junction of the A14, the primary Midlands to East Coast Ports route. 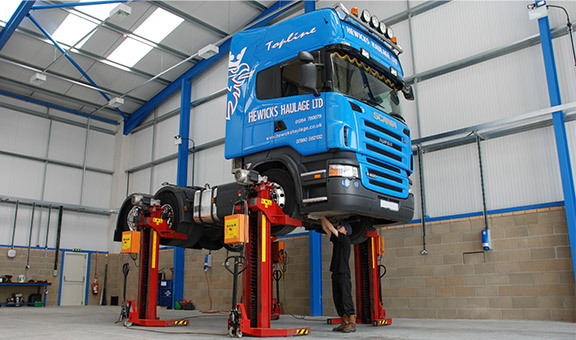 Our onsite facilities include a new three bay service, maintenance and repair workshop with vehicle lift and rolling full brake test equipment. 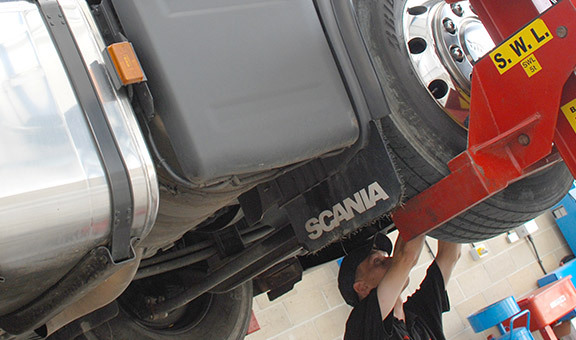 Our wash area is equipped for normal vehicle cleaning and pre-test preparation of both trucks and trailers. The site is surrounded by security fencing and a range of monitored systems. The fully concreted yard area is built to a high standard and our new office complex also include drivers’ facilities, shower and mess room. Apart from providing secure parking and service support for our own fleet, our facilities are able to provide limited accommodation and service support for third party operators – but strictly on a pre-arranged basis.